Recently, tuna poke has become widely popular, and with good reason. 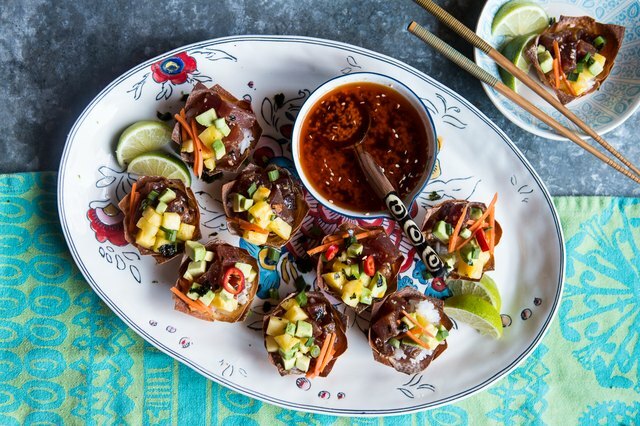 Hawaiian food is finally having its moment, following on the heels of other popular Asian cuisine, such as Thai and Korean. 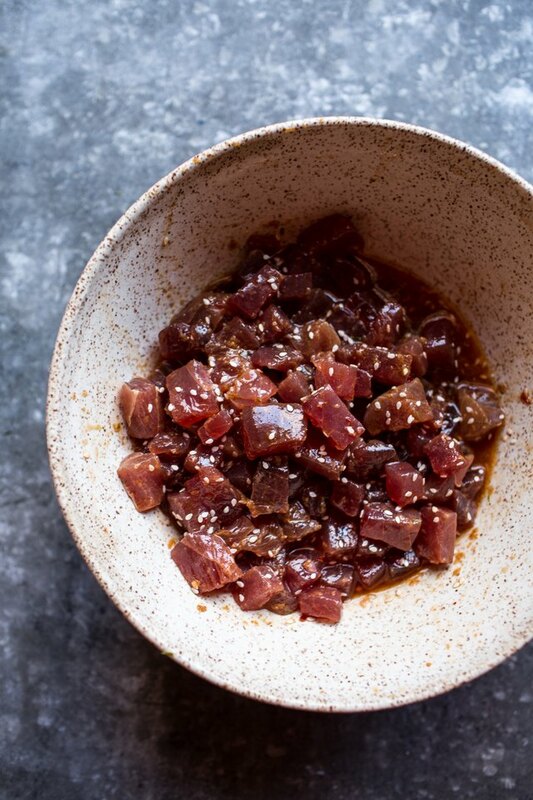 Traditionally, tuna poke is made with fresh ahi tuna chunks (the word poke means chunk in Hawaiian), which are marinated in a simple dressing and served over rice. Assorted toppings are often used to create different variations. 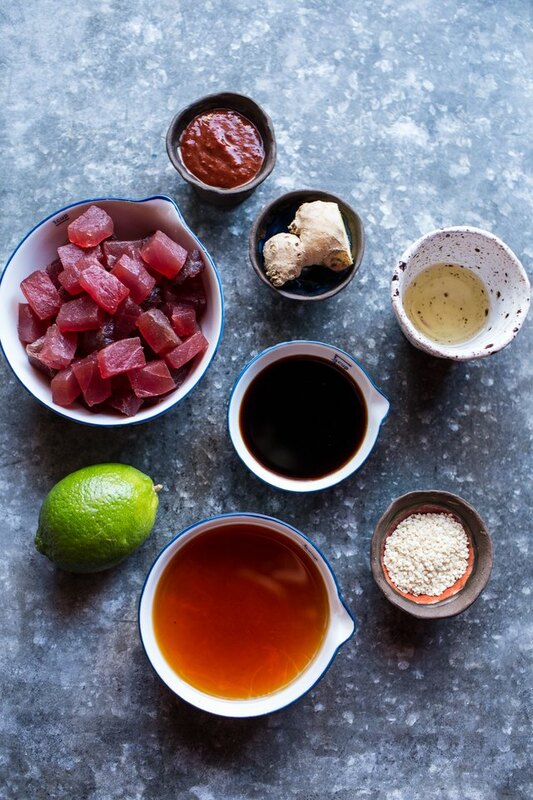 Whether made traditionally or extravagantly, tuna poke is always fresh, light and healthy. 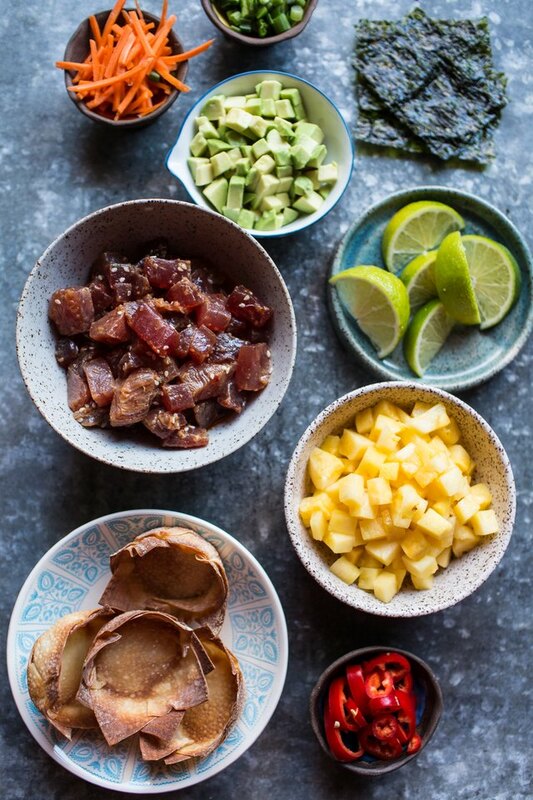 Today, we are making a tuna poke appetizer with Hawaiian flair. 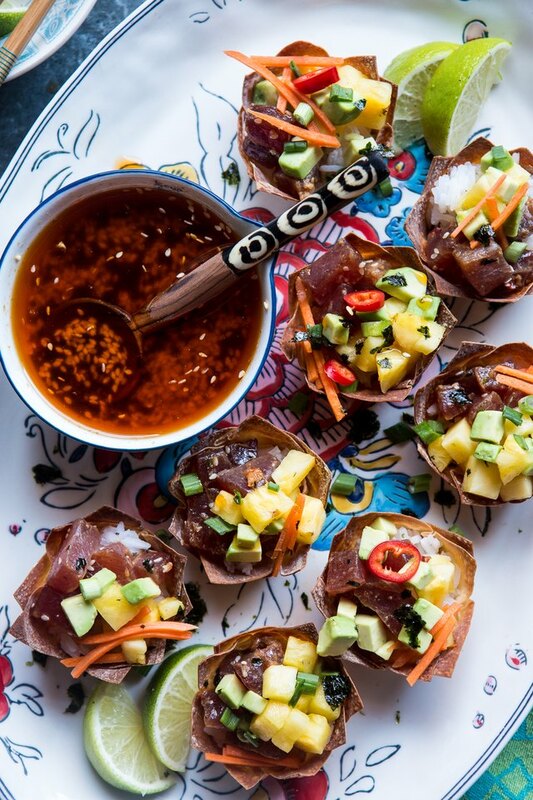 This appetizer uses all the same flavors, but is served in cute little wonton cups for easy eating. It's the perfect light and healthy spring or summer appetizer! 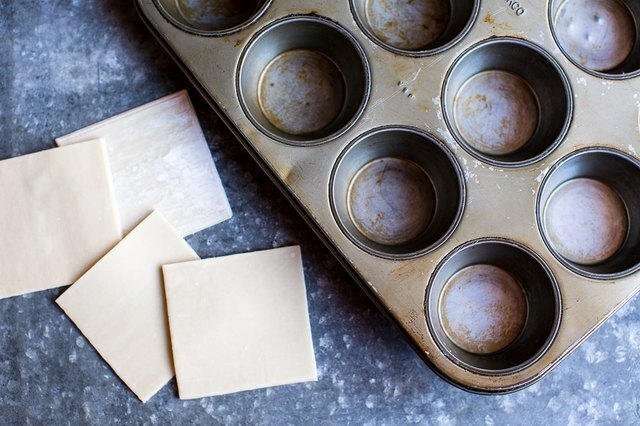 Preheat your oven to 350 degrees F. Grease a 12-cup muffin tin with cooking spray. Working with two wonton wrappers at a time, lay them flat on the counter. Place one wrapper on top of the other, creating a star with the corners. 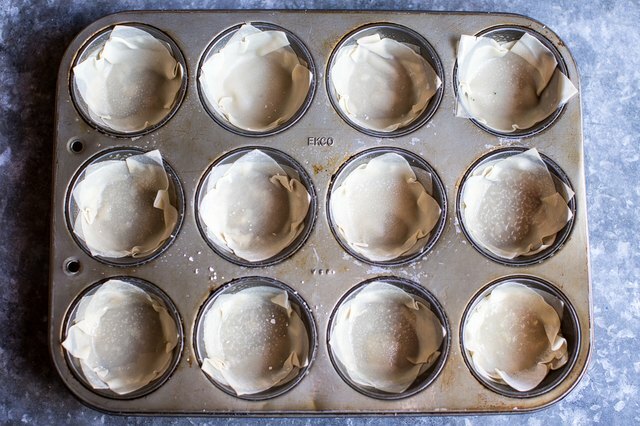 Gently press the wrappers into a muffin tin. Repeat with the remaining wrappers. 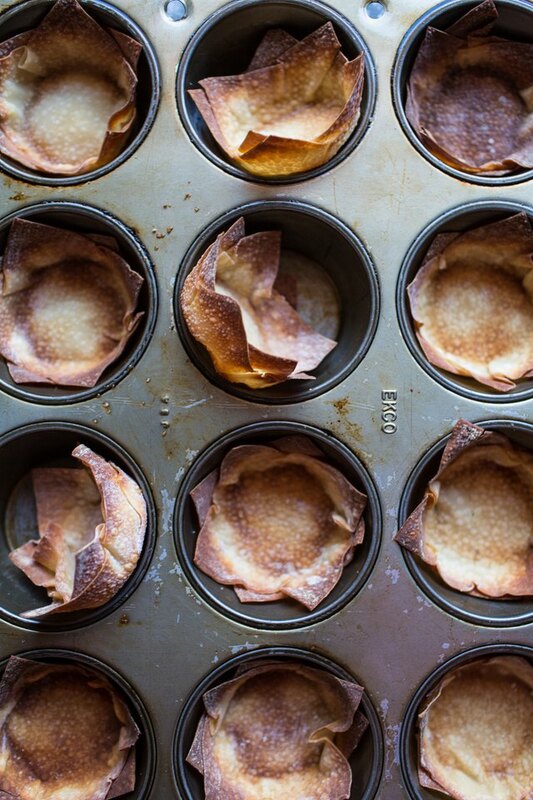 Brush each wonton cup lightly with olive oil. Bake for 8 to 10 minutes or until crisp and golden. 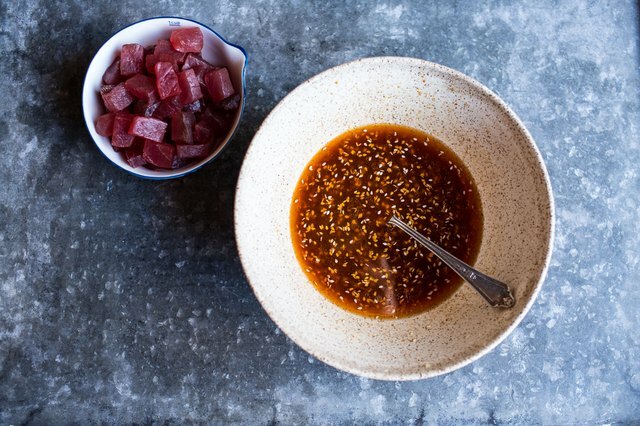 Gather the toasted sesame oil, low-sodium soy sauce, rice vinegar, chili garlic sauce, fresh ginger, juice and zest of 1 lime, sesame seeds and the sashimi grade ahi tuna. In a large bowl, combine all the ingredients, except the tuna. Whisk the dressing well until combined. Remove 1/4 cup of the dressing and reserve for serving. Add the tuna to the remaining dressing and toss well. The tuna can sit in the dressing for up to 12 hours or so, but if you leave it any longer the acid in the citrus will begin to slowly cook the fish. Keep the fish cold at all times. Gather the steamed rice, tuna, pineapple, avocado, carrots, green onions and chile peppers. Layer the cups in the following order: rice, tuna, pineapple, avocado, carrots, green onions and chile peppers. Drizzle any sauce left in the bowl of tuna over the the cups. The wonton cups can be made up to 24 hours in advance. Assemble the cups minus the tuna. Keep the tuna in the dressing, covered in the fridge. Add the tuna just before serving. Assemble the wonton cups on a serving platter. If desired, garnish with fresh lime and cilantro. Serve with the reserved dressing for drizzling.